Clive Lewis, Labour MP for Norwich South, was curiously absent during the vote calling for the UK to stop backing the Saudi bombing of Yemen. Evidence had been uncovered to suggest British made cluster bombs have been used by the Saudi Regime in the Yemen. Bombs have been dropped on schools and now the UN has put the death toll at over 10,000. On the issue of arms sales to Saudi Arabia Lewis was of previous good character - attending protests against arming the violent head chopping oil rich state. 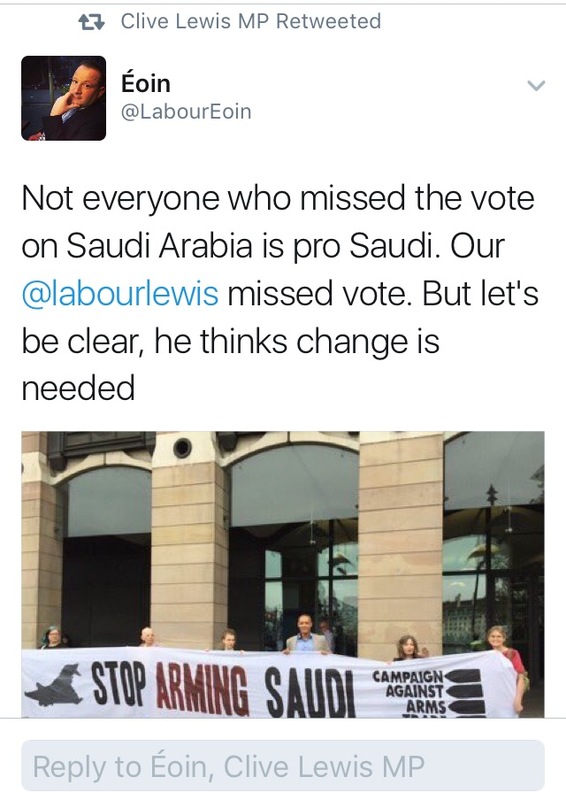 Lewis claims had he been present at the vote he would have supported the Labour Leadership's three-line whip. But he wasn't and he didn't. And now Lewis is refusing to answer questions as to why he missed the vote. One list suggests Lewis was 'ill'. If Lewis is genuinely so unwell that he is unable to attend such a significant vote why hasn't he or his office released any kind of statement? The public are rightly sympathetic to genuine illness. Lewis isn't responding to direct questions on his absence either but instead has now begun disseminating fairly obsequious social media posts on the matter - removing himself from any kind of culpability. How ill do you have to be to miss a vote that could potentially save the massacre of civilians? In the 1970's the terminally ill Labour MP Alfred Broughton was wheeled down from hospital into parliament in order to vote on a far more trivial matter. Lewis' absence is curious. His selective responses are curious also. In September he distanced himself from the Labour grassroots by performing a staggering u-turn and appearing to support renewing Trident's WMDs. His speech at the Party Conference, although amended, undermined the Labour Leadership in a manner more befitting of the Blairite clique. 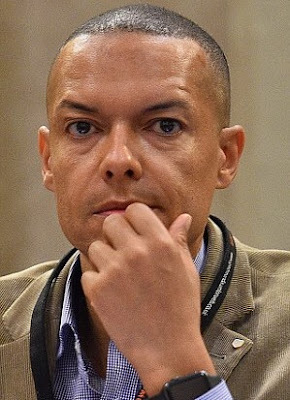 Was Clive Lewis exacting his revenge on the Labour Leadership at the expense of Yemeni civilian population?